Carvalhos Cleaning, The Art of Clean provides a wide-range of residential and commercial cleaning services to customers to the Broward and Palm Beach area, including Fort Lauderdale, Boca Raton and Coral Springs. Stabilized since 2000 with excellent references available, we are licensed and insured family operated business, no worries about damages or theft. When we say were insured, we mean that were fully insured against damage to your home, loss of any item and injury to our employees. We design package based on your cleaning preferences, desired frequency for home, apartment and offices cleanings and budget (affordable prices). We offer reasonable rates because we dont have to pay franchisee fees or other royalties. We have been using Carvalho's Cleaning for three years now. Their crew are the best cleaning team in the area. They not only clean and organize always on time and do anything I need. I have so much confidence and trust them completely, that they have there own key. They would never take anything that did not belong to them, It 's extremely important to them to satisfy the client. They are the best and we are lucky to have them. They are just like family to us. Dora and Ken Hemphill, Pompano Beach, FL ( June 2016). They are the best cleaning service that I have ever had. They take pride in there cleaning. They are polite and clean everything from top too bottom. I will always use them to clean my house. Carvalho’s Cleaning have worked for me for over a year. They are dependable, reliable, punctual and trusworthy. They do an excellent job. I have recommended them to several people. Carvalho’s Cleaning have been cleaning my apartment for many years. They have always been dependable and reliable. They also work for other residents in this building. I would definitely recommend them. I’ve personally recommended Carvalho’s Cleaning to my neighbors, to my family, to my friends. I don’t know one person who has not used them and not being satisfied. I highly recommend Carvalho’s Cleaning. House Cleaning in Fort Lauderdale: High Quality Services at Affordable Prices! House Cleaning in Fort Lauderdale by Carvalhos cleans all sizes and styles of homes. We've been in the business of commercial and residential cleaning for several years now, and have accumulated enough experience to deliver the best and most accurate cleaning system in the industry. Your home will never look as great as when we do the tidying up. Experience has its use; it enhances skills and builds confidence. However, without proper training, it becomes suspect. You have nothing to base your cleaning aptitude on. You have no way of knowing if your experience is leading you on the right path. Professional athletes have coaches to hone their playing technique and keep track of their progress. They learn to do things perfectly right and not perfectly wrong. This is the Carvalho Cleaning’s advantage that they impart to their affiliates, which includes House Cleaning In Fort Lauderdale . This is the reason why House Cleaning in Fort Lauderdale Services by Carvalhos, offer results that are quite different from the others. They have class and finesse. You’ll notice that you have cleaner and luminous surfaces. They absorb light rather than reflect it; a sign that the surface is really clean. Impurities tend to reflect light. They’re made of opaque materials. When impurities remain on a surface, that surface will still look shiny, but not really clean. That’s one of the many things that they've learned from their routine training and researches. Not all shiny objects are really clean. You can’t learn this by experience alone. The management sends their personnel to train in the finer aspects of house cleaning to learn as much as possible for your own benefit. It’s like painting your house. It has no direct physical effect on your body. You spend money to make your house more presentable and it's going to be there longer to serve you. You have accomplished something and that’s what’s important for you. 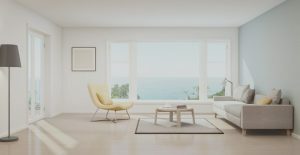 Why You Need House Cleaning in Fort Lauderdale? When you go home tonight examine your surroundings. The dust and dirt may not be visible anymore, but are you sure that they’re not there just embedded in the surfaces and left there to accumulate? When they start getting loose, they’ll definitely contaminate your home with microscopic bacteria and viruses without you knowing it. And then everybody in the house starts to get sick. Carvalhos Cleaning is well aware of this which is the result of their constant training. They can eradicate these disease carrying organisms because they know they’re there. Experience will take a long time to kick in but training will do so immediately. Use the form below to quickly contact us or click here to access the full free estimate form.